It's Quick, Easy & Cheap! As a business owner, you’ve worked hard to create and build your home-based business. Make sure that you and your business are protected. Getting proper coverage is very cheap and easy to get. Safeguards : Coverage for your home-based business from unnecessary loss and risk. Protection : Your business equipment and assets will be protected from loss, damage or theft. Legal : Protection for you and your business from expensive legal costs. Peace Of Mind : You can focus on running your business instead of worrying about insurance coverage. Cheap Rates : Home-based business insurance doesn't cost a lot. You'll be surprised how affordable it is. 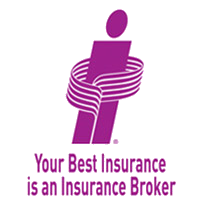 You can get a quote and purchase your home-based business insurance online in minutes. At ThinkInsure, we have lots of options for home-based business insurance. We'll help get you the best coverage for your business needs at the cheapest rates. You can get a quote and buy your insurance online in minutes. Getting cheap insurance coverage so your home-based business is protected is easy with ThinkInsure. Savings : Home-based business insurance is cheap so it won't cost a lot to make sure you are protected properly. We Save You Time : Conveniently buy your insurance online in a couple of minutes. Get Unbiased Expert Advice : Our insurance brokers are licensed professionals who will help you with any insurance questions you have. Call us anytime. Help When You Need It : We are here to help you with all your insurance needs, from insurance questions to making a claim, we’ll be there for you! The small business environment is rapidly changing in Ontario. More and more people work from home and running businesses out of their homes. Insurance companies are creating affordable insurance packages that meet a variety of home business needs. 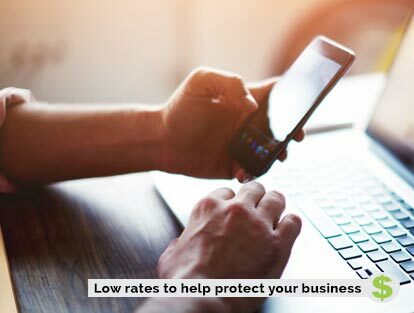 There are three types of business insurance coverage that home-based business owners should consider to ensure their business is protected. Liability insurance protects your business assets from damage or loss. Liability also covers you for medical expense claims that you incur while operating your business. Without liability insurance, an accident or an injury claim may put you out of business. Liability insurance protects your business from third-party claims due to injury in your office, from a product or your operations. Think about your home office. Imagine that you had to replace your laptop, your printer or office furniture. Contents Insurance helps to minimize the risks of loss or damage to business assets you need to run your business. With Legal Expenses Insurance, you can ensure that you don’t lose your business over high legal costs. You’ll be covered for costs for business and personal legal matters. Get your Home-Based Business Insurance now. You can do get a quote a coverage online. It's quick and easy.